Mike and I love our Thursday night line-up, not the least of which is Parks & Recreation. 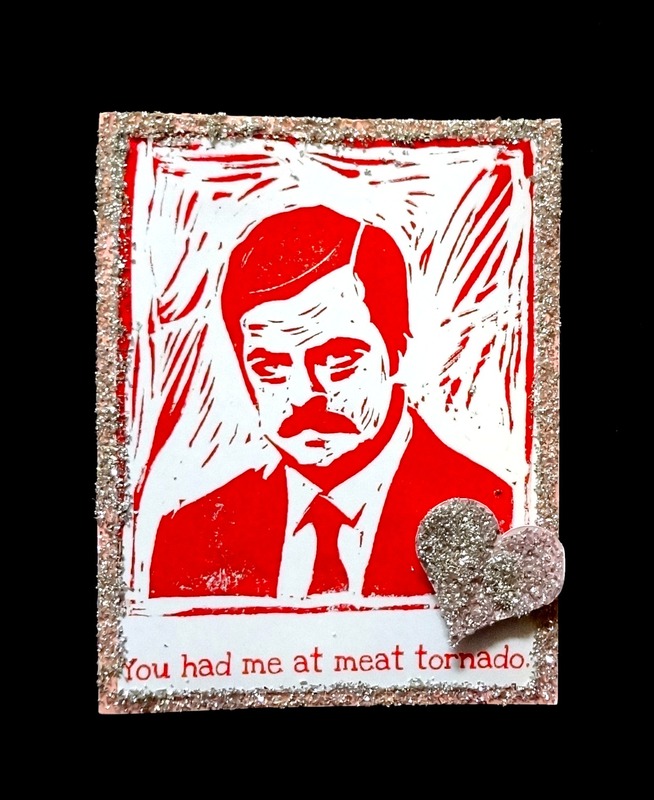 My hubby’s favorite character is Ron Swanson and I wanted to do something a little…different…with this year’s Valentine for him. 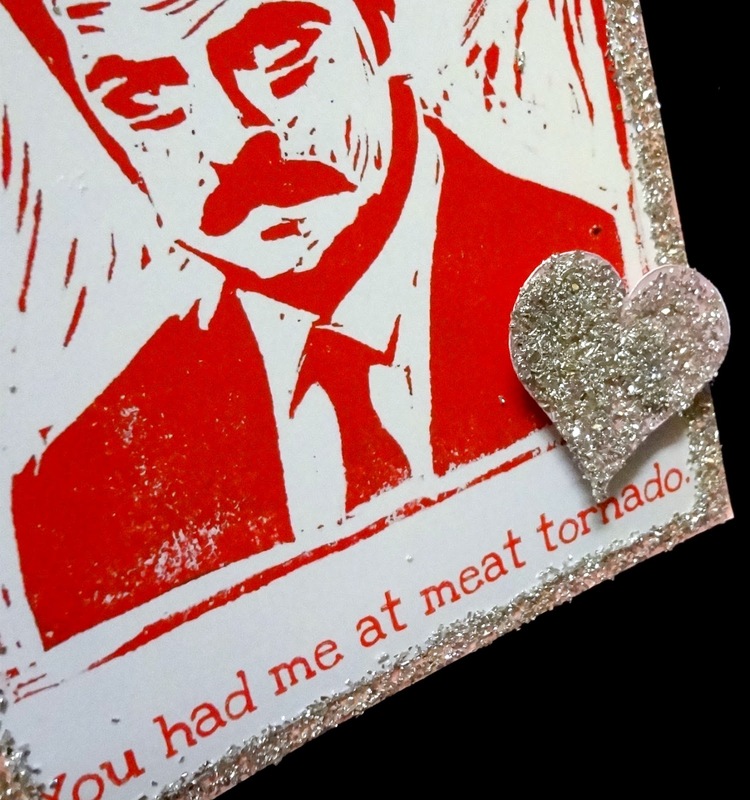 I made this unique greeting using one of Ron Swanson’s famous lines from the show, “You had me at meat tornado.” and then embellished the card with lots of shiny German glass glitter. I cut out a heart, popped it with some foam underneath and embellished it with more glitter. Mike said it’s probably the best card I have ever made him. Boom. Done.